This compact device is designed to easily mount into the EN4250 or EN2850 enclosure and provide 30 watts of power for Equinox and other PoE compatible devices. 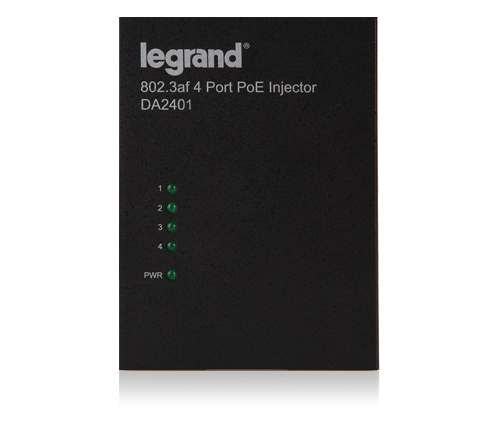 The DA2401 is a 4 port Gigabit High Power PoE injector. The unit complies to the IEEE 802.3at standard for double the power of the 802.3af standard (It is backwards compatible) and provides full Gigabit speeds. The DA2401 is designed to meet the needs of new Ethernet devices requiring up to 30 Watts such as PTZ IP cameras and some Wireless Access Points.